Juanita Brown Greene, 76, of Ramseur passed away on Thursday, October 26, 2017 at Randolph Health and Rehab Center. A graveside service will be held on Saturday, October 28, 2017 at 11:00 a.m. at Grace Temple Baptist Church Cemetery, 5150 Woody Mill Road, Julian with Rev. Gregg Gamble officiating. 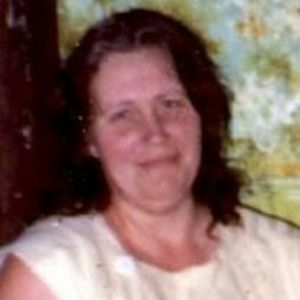 She was the daughter of the late Nathan and Pearl Moffitt Brown and was also preceded in death by her husband, Wayne Greene; one daughter, Debra Sue Greene; sisters, Louise Haithcox and Clara Mae Turner and brothers, Bobby Brown and Roger Brown. Surviving are her sons, Ricky Greene and his wife, Heather and Michael Greene and his wife, Yesenia; grandchildren, David Bailey, Mathew Merchant, Richard Greene, Garry Greene, Michael Greene, Jr., Johnathan Greene, Joseph Greene, Timothy Greene, Victoria Greene, Elizabeth Greene and Michael Almanza; 13 great-grandchildren and sisters, Linda Auman, Betty Morgan and Ruby Baker.